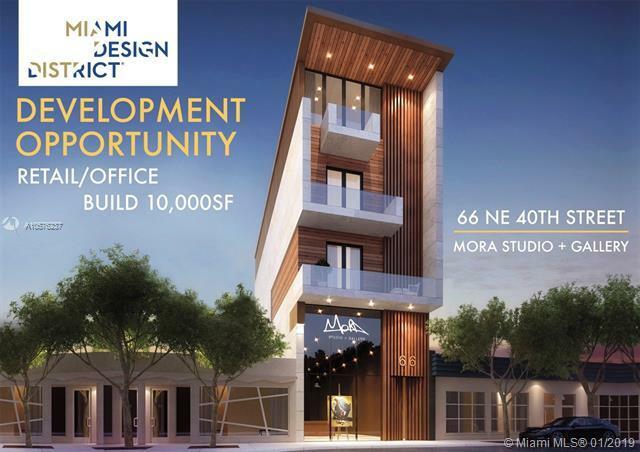 PRIME RETAIL/OFFICE DEVELOPMENT SITE IN THE HEART OF THE DESIGN DISTRICT! Opportunity to Launch Your Own Retail Brand/Restaurant/Bar. Build 10,000 SF of Retail/Office. 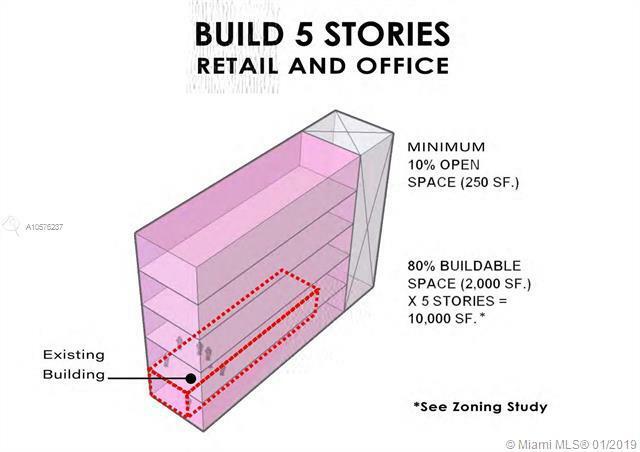 Entry Level Price Point for Design District as there are NO SINGLE LOTS (2500 SF) FOR SALE in this Prime Retail Location. Steps away from Pharrell's new Swan & Bevy Bar and the new Alice + Olivia store. Surrounded by Billionaire Institutional Investors, including Dacra/LCRE, Redsky/JZ Capital, Thor & Gindi family. 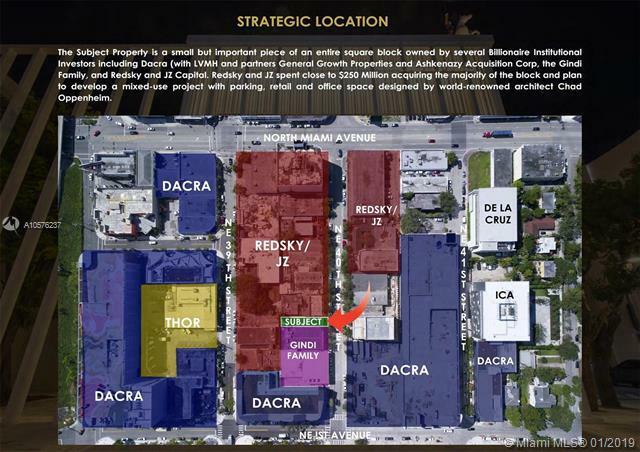 Over $1.4 Billion of Capital Invested in the Design District. New 110 room Design District Boutique Hotel to be built across the street will Drive More Traffic and Increase Property Value. 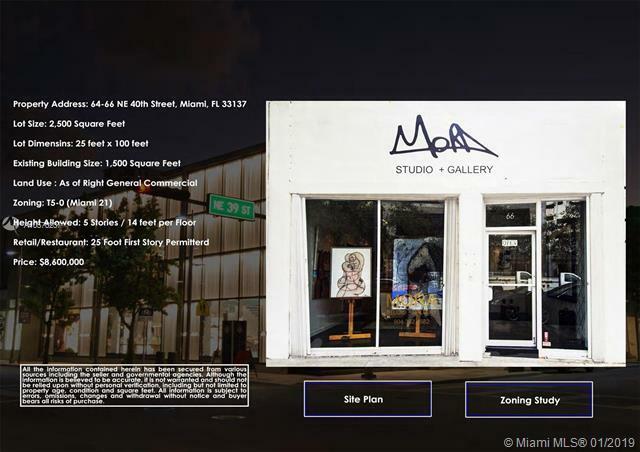 Located in Miami's Most Exciting Shopping & Cultural Destination w/ over 15 Popular Restaurants & 160 Luxury/National Tenants. Listing courtesy of Stacy Robins Companies, Inc..